I recently had a client request that their video would popup in a lightbox/modal window when clicked on their Squarespace site. NOTE: Since writing this tutorial I discovered Squarespace has come to the rescue with a much simpler way to offer video in a light box. The method listed below offers more customization, but if your looking for a simple solution I highly recommend using the built-in Squarespace functionality. To use their lightbox system, click here: Square space built in video lightbox funtionality. 2.) It uses “rel” attributes to to activate the lightbox as opposed to using css class which you can’t assign in Squarespace without conflicting with their system. 4 theme examples: Rounded Dark, Rounded Light, Square Dark, Square Light. Pretty Photo is designed to work in a hierarchy of folders but due to Squarespace’s simplified uploading system we need to “hack” PrettyPhoto to use “direct linking” (I’ll explain later.) First you need to decide which prettyPhoto theme you want to use. For this example we are going to use the square-dark template. So after extracting the prettyPhoto download go into prettyPhoto/css/prettyPhoto.css and open it in your favorite text editor. So what did we do there? The original line was saying “Start at my position, and go up one level, and then you’ll find a folder called images, go down into that folder and you’ll find the image.” But Squarespace uses one folder for all the files, so we’ve changed prettyPhoto to access the file directly. Now we’ll make a new page on Squarespace to upload our files on. From your Squarespace admin, click on Pages and the scroll down to “Not Linked” and click the + button. We’ll name our page “System Files”. You can optionally click on the gear icon next to it and then uncheck “Enabled” so that people won’t have access to this page of your site. Select the first line and click on the link button in the editor. 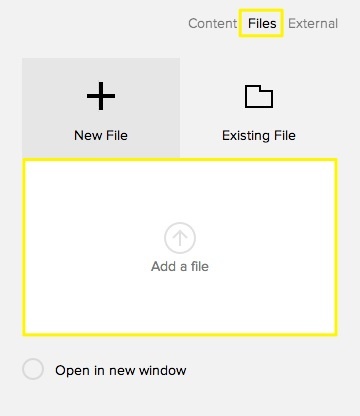 Next, click on the “files” tab to tell Squarespace that we want to upload a file. We can then click “Add a file” and navigate to the folder we created earlier. 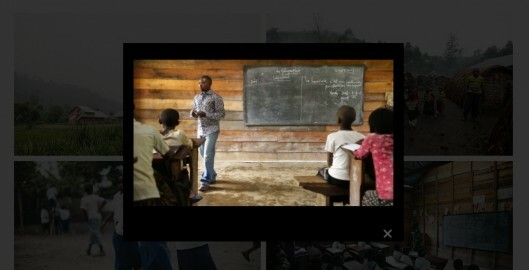 Select jquery.prettyPhoto.js and upload it. Now we can choose it from the list of files and click back to editing our document. Repeat this step for each of the remaining files, and then click save. This sounds complicated but it’s pretty simple. Just navigate to the page we want to activate our lightbox on and click on the gear icon next to it. Again replacing YOURSITE in each line, with the URL for your Squarespace site. 4. Make the Magic Happen. Your site is all setup and ready to popup your video, now we just have to tell it when to do it. Like I mention earlier prettyPhoto uses “Rel” tags to tell it what links it should activate on, but squarespace doesn’t give us a place to enter Rel tags, so we have to do a bit of “hacking”. 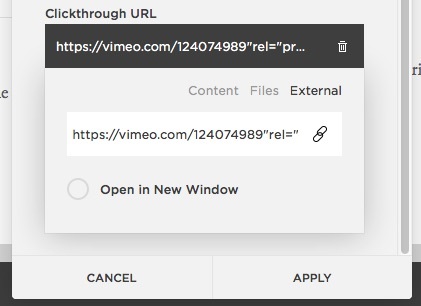 If everything went according to plan you should now be able to see your video’s popup in lightbox glory and and the rest of your site fade into the background. NOTE: The site I installed this on got reported as having a virus. This could be due to the fact that you’re inserting a code into the header and google thinks it’s a virus. Or it may have been a completely separate issue. But I figured I should give you fair warning. Again replacing YOURSITE with the URL for your Squarespace site.” But is the code missing we need to copy paste? Thanks Nico, I’ve added the missing code. Let me know if you have any more questions. can you clarify this part? Did you ever mention where this address goes? Also, where do you enter the video link? 3) linked each to the files in new folder. which was missing the periods between the 161. I would like to know where to add the link on the Squarespace Homepage? See the rest of step 4 for full instructions.